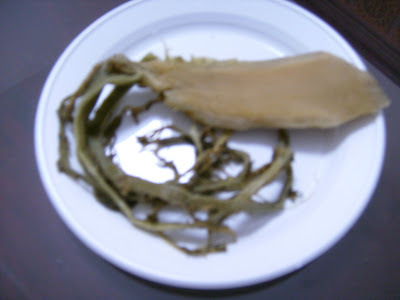 When it come to simplicity for meal, what could be more convenient than to prepare a one dish meal. What do i mean by one dish meal? Well, it simply must incoporate the food pyramid - that is it must consist of carbohydrate, protein as well as vitamins. 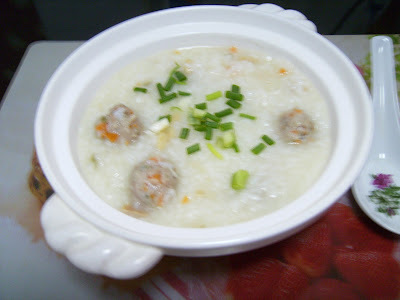 Today, i prepared a one dish meal - pork ball congee. The carbohydrate is the rice, protein comes from the pork and vitamins from the carrot. See, my pork ball congee - convenient and delicious. Recipe in my bon appetite blog. 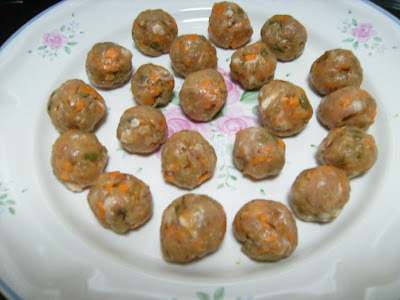 This is how i shape my pork ball.